If you have to overcome obstacles such as rocks, tree roots or streams then the Eds Dynamic 32 Rucksack is a reliable option. 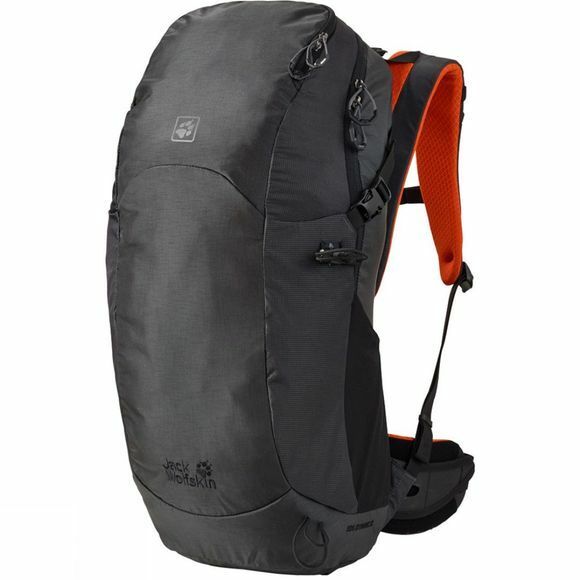 Equipped with Jack Wolfskin's EDS suspension system the pack adapts dynamically to your movements. This saves energy, ensures excellent carry comfort and therefore allows you to maintain maximum performance. We have included a special pouch for your hydration system in the main compartment. There is also space for the rest of your kit, from your snacks to your hardshell. Your GPS, map and anything else you want quick access to can be stashed in the front pocket. The other compartments and external attachments provide carry options for a water bottle or trekking poles.